Getting ready photos are some of my favourites to capture. Detail shots are some of my favourite to get, and because I was hanging around between portraits and wedding with Dale & Jenn, I got to play around with some fun ones. I literally stole an icicle from the railing outside and put their rings on it. It was not easy, but totally worth it. We were over in Fernie, BC in January (yes, it was cold), and had a pretty epic weekend. Their photo booth was out of control, so it got it’s own section in the slideshow! Enjoy! Mid-editing the wedding photos for these two goofballs, and had to share this one. 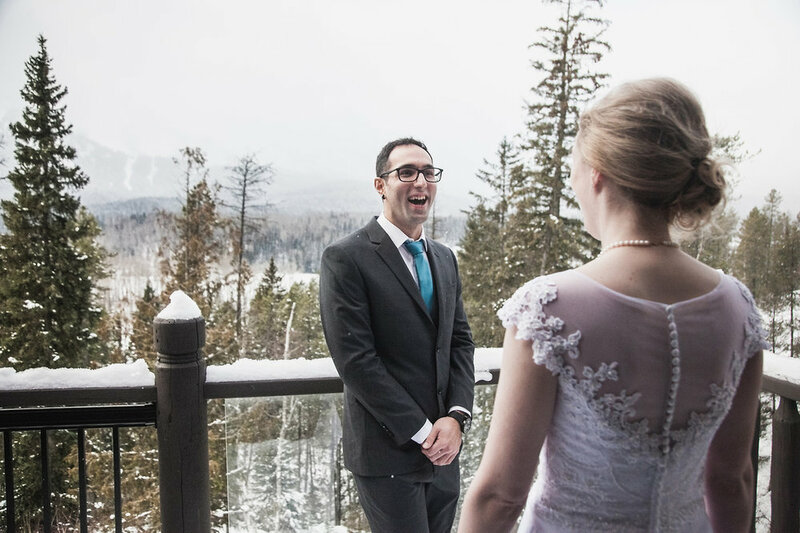 I’m glad they could laugh in the freezing cold air in Fernie that afternoon - more photos to come. <3 you Jenn & Dale!